Efflorescence is a common issue, but there are several of controlling and preventing efflorescence in Toronto. Efflorescence is the white powdery substance that develops on a number of surfaces. It is caused after water evaporates through the surface and leaves behind the crystals or salts that were in the water. In most cases efflorescence is white but it can also appear as green, brown, or yellow depending on the chemicals present in the water. Efflorescence has remained an issue for masonry structures and walkways since ancient times. Unfortunately, despite all of the research that has gone into it, there is still no single cure for the issue. Thankfully, there are ways to help control and prevent it due to a large understanding of how it develops. Water-soluble salts must exist within the wall. The wall or walkway must contain enough moisture in order for the salts to transform into a soluble solution. There must be a way for the soluble salts to gain entry through to the surface during the evaporation of water. Without all three of these conditions efflorescence is not going to take place. As of now, there is no economical way to completely remove the possibility for all 3 of these things to occur. Yet, there are ways to help prevent these things from happening, thus greatly reducing the chance for efflorescence to develop. Since salts must be present for efflorescence to occur, many people ask where these salts come from and how to reduce their presence. The main source of alkali relates to Portland cements, which are commonly used to make mortar and grout. It’s highly recommended to use low alkali Portland cement, with 0.6% alkali or less. 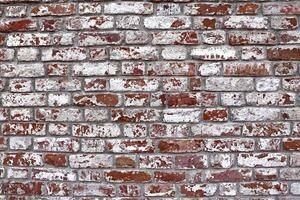 Clay brick is another known contributor to efflorescence, as it commonly includes soluble alkali sulfates. Thankfully, newer fired clay brick tends to be balanced with chemical additives such as Barium Carbonate. This helps prevent the sulfates from being able to move to the surface and reveal themselves as the white powdery substance known as efflorescence. Sand used in mortar and grout is yet another known contributor. The sulfates must be removed from contaminated sands or else they will cause efflorescence. This is why it’s important to use sand that has been properly cleaned and washed. Another potential contributor is the water used during the actual construction. This is especially important to remember as many structures incur efflorescence within only a year post-construction. It is so important to utilize clean, salt-free water during construction. Water should be tested and checked before it is used. It was once thought that the hydrated lime in mortar mix was a contributor, but that has since been discredited. In fact, hydrated lime may help prevent efflorescence because it makes it more difficult for moisture and salts to move through a structure due to reduced capillary flow. Reduce the presence of soluble alkali sulfates. Use well planned architectural detailing to prevent water contamination in the future. Use proper construction techniques in order to reduce migratory paths that moisture can travel through. The design of your building greatly contributes to the presence of efflorescence. The main way to prevent efflorescence is to prevent water from absorbing into walls. This can be achieved with good architectural design, including proper drainage, protective arches and overhangs, and copings and flashings that push the water off and away. Always make sure that mortar joints are properly sealed and free of gaps to help prevent water from entering. Using dense tooled mortar joints helps decrease the naturally porous nature of mortar, reducing the amount of water able to get inside. 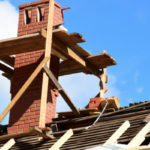 If you notice your mortar joints breaking down, it’s important to act immediately and have the wall repointed. 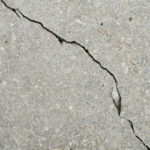 There are grout admixtures on the market that actually reduce the risk for efflorescence as well. The chemical additives are designed to improve the flow of the grout mix and reduce the actual water content. They also decrease voids in grout that occur during shrinkage. 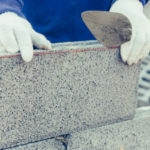 Turnbull Masonry is the number one name for everything masonry related. 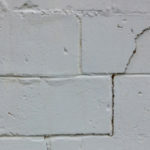 We would love to clean your masonry impacted by efflorescence, as well as offer ways to prevent the pesky eyesore from returning. Looking to build something new? We use top-notch practices in order to reduce the risks of efflorescence in the first place.